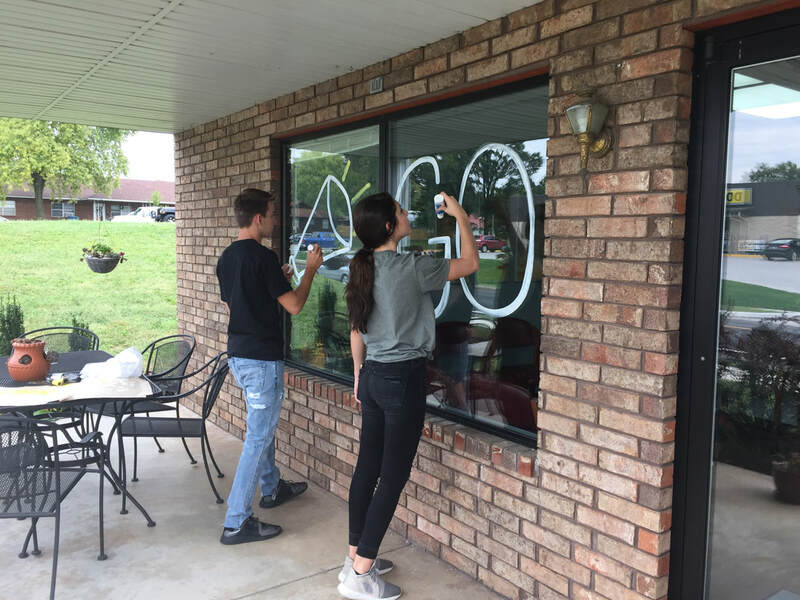 The Cassville FBLA chapter took over the football spirit window decorating this year and several businesses have gotten involved. FBLA members and sponsors paint windows each week of a home game and then clean the windows off following the game. Adviser Melanie Grossman said they are thankful for the support of local businesses and 100 percent of the money raised goes to FBLA scholarships in May. If your business participates in future games, contact Mrs. Grossman at mgrossman@cassville.k12.mo.us. 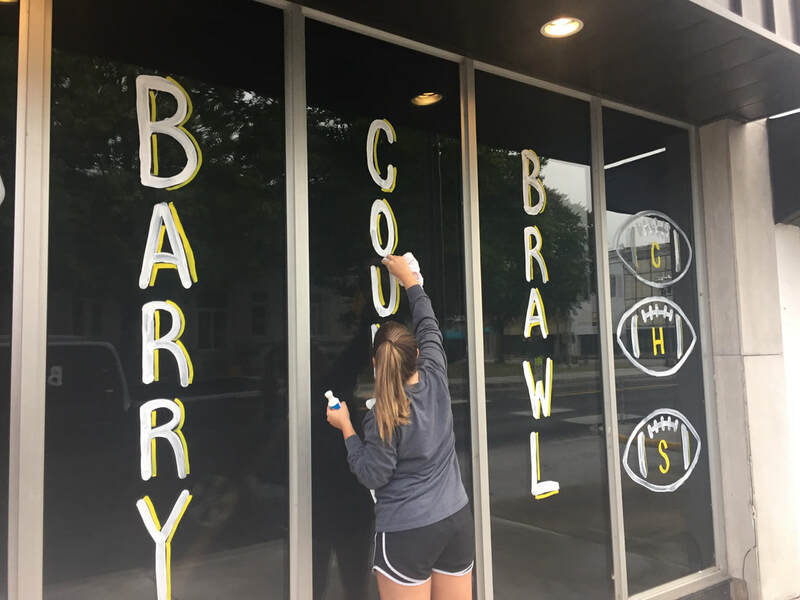 Cassville FBLA members Justin James and Callie Beagle work on windows before the Barry County Brawl. Clara Hermansen is pictured above decorating before the football game versus Monett.